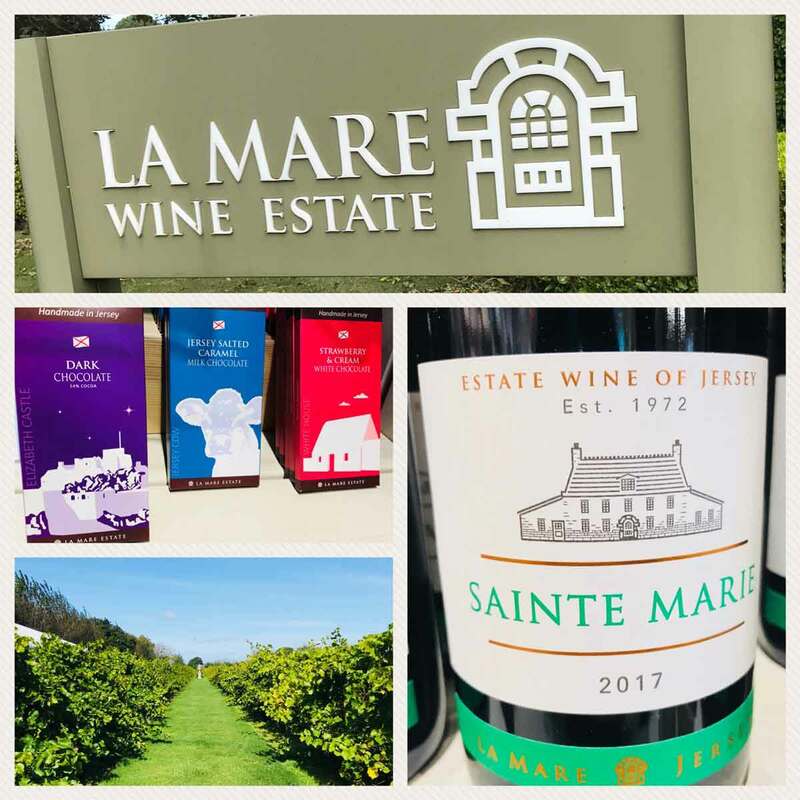 La Mare Wine Estate was the island’s only winery and was a wonderful hive of food and drink as not only did they have the vineyard, but also a cider distillery, chocolatier and they also make fudge, biscuits and an award-winning apple butter. It’s always great to see Great Taste Awards on products. The tour is an absolute must – it will give you the history of the site and enable you to learn more about the products and vineyard. At £9.95, it also offers fabulous value for money given all the delicious product you get to sample. It was great to enjoy the tour and hear what a wonderful summer has meant to the vineyard with a crop this year of over 37 tons of grapes. This is great news for the vineyard and all the fans of their wines as there will be more bottles available. The Crab Shack have 3 locations St Helier, St Brelade’s and Gorey around the island. We visited the St Helier restaurant for lunch. The décor was fantastic with clever use of booths, lower seating and use of textures, plants and the tiles offered a wonderful focal point. The menu offered a wide variety of food, perfect for a hearty lunch, having been walking around and exploring the island. 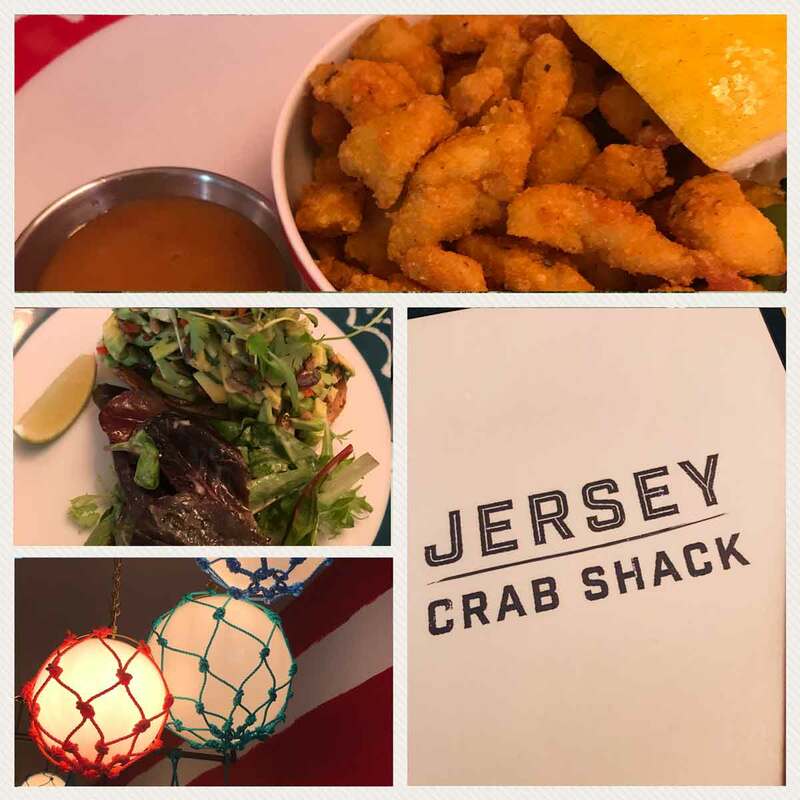 The food was delicious and was a wonderful flavour of the Jersey foodie scene. The service was great and it’s defiantly a location we would recommend. They also have a great Instagram account which is how we found them. 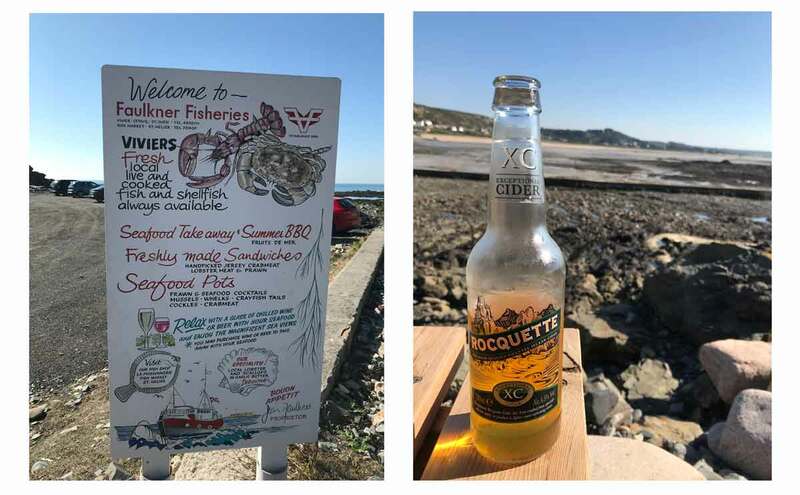 It is rare to find a magical spot such as Faulkner’s Fisheries restaurant which is at the end of a beautiful beach on St Ouen bay at L’Etacq. It was started by Sean Faulkner in 1980 and they now supply seafood to Jersey and Guernsey. This is one of those wonderful foodie locations that should win a Radio 4 Food Programme Award it’s a combination of great food in an awesome location. It offers a wonderful array of locally sourced seafood cooked and served for you to enjoy on a picnic bench while looking over the beach and sea, it’s simply perfect.